We are not only a screen printing supplier we also focus on screen printing promotion. In order to help more people learn this skill we have a screen printing course. We want to provide an opportunity for the people who want to join in this area. 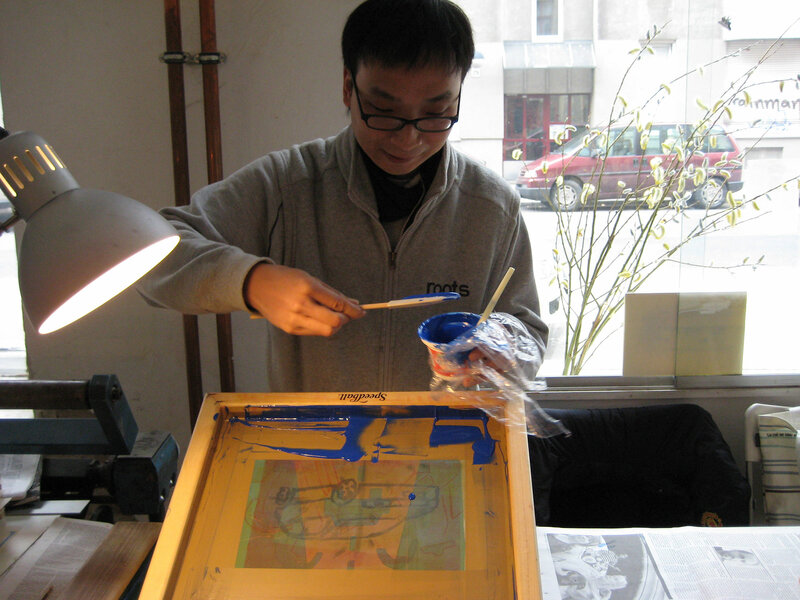 Our course covers every aspect about screen printing. You are going to learn this skill from the basic level to beyond expert level. We will introduce all the supplies necessary for screen printing. We can also discuss your questions and are hoping your business can run better. Our course focuses on beginners and people in this industry. 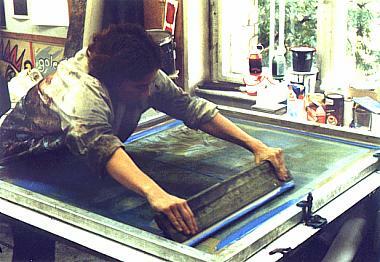 Screen Printing is widely used in different areas, such as business, school, artist, technicians, printing and advertising. 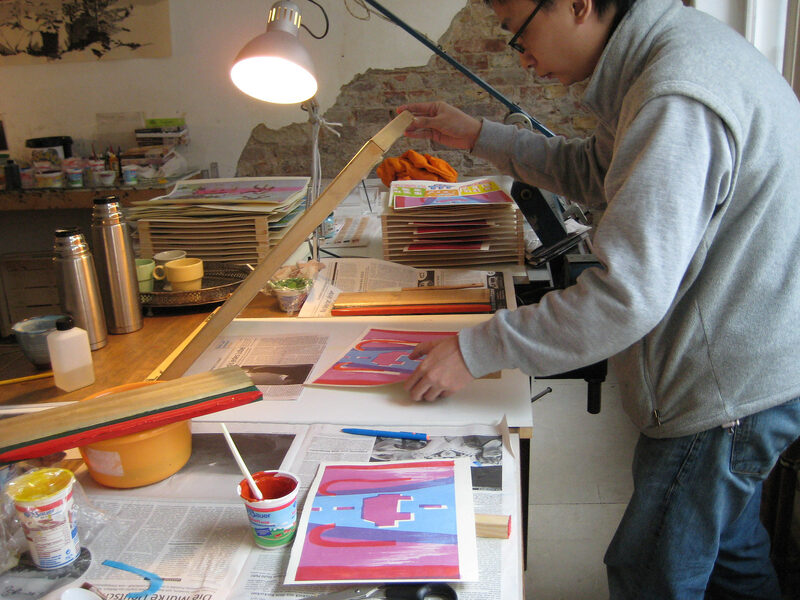 Besides, screen printing is also popular overseas. If you want to do some business in other countries, then screen printing is a good idea. We have prepared all forms of screen printing equipment. So that you have chance to use them. Such as the mesh stretcher, scoop, exposure unit and printing platform. 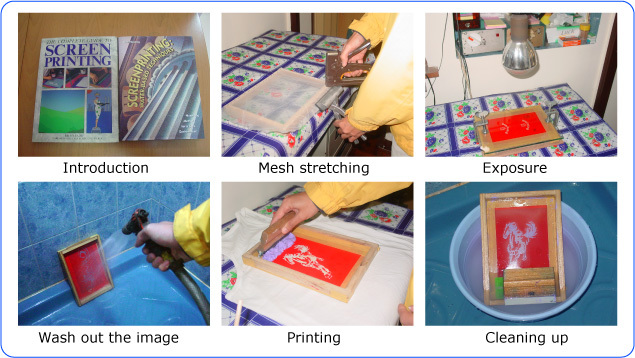 We have also information about the screen printing suppliers from China or overseas. We are pleased to share our knowledge with you. If you don't have time to join the course, we are pleased to introduce the "Screen Printing Combo Kit" that includes everything for stencil making. There is a English instruction guide, you just need to follow the steps and you can make your own prints. Please click HERE for the information. 3. How to stretch the mesh. We are going to teach two methods, you can use staples or glue to hold the mesh on the frame. 4. Preparing artworks. How to make your own image film from computer. 5. 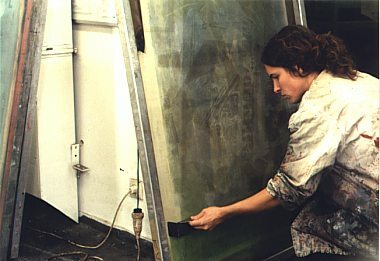 How to mix the sensitive emulsion. 6. Participants are going to make their first screen stencil. They learn screen printing from practice. 7. Participants are using the stencil they made for printing practice. The instructor will tell them what should be noted during printing. This is a whole day course and it is usually done on Saturdays, from 10 am to 4 pm. If you can't join the course during the standard timetable, please contact us for a special arrangement. The course fee is Hong Kong dollar 1,000.00 per person (USD 130.00). We still run the course even for one person. We taught many people for over 20 years and understand what you want to learn. You don't need to worry. You can learn everything in just one day. 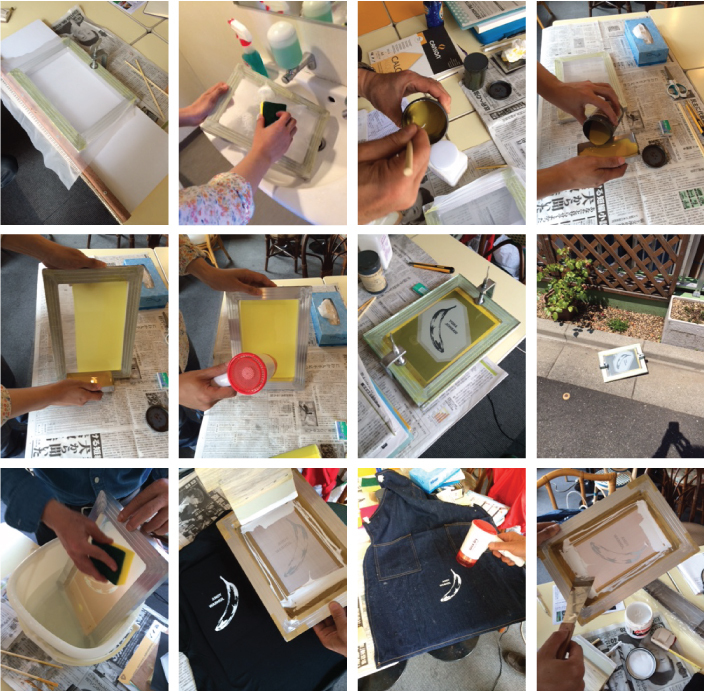 We guarantee you can have a whole picture about screen printing in a day. Moreover, if you have further questions you can still contact us after the course.